The U.S. National Aeronautics and Space Administration (NASA) has revealed that its latest Orion spacecraft is complete. 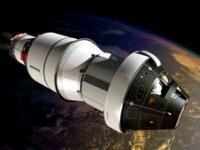 Orion is expected to assist human travel into deep space such as Mars. For the first time ever, all 10 NASA field centers will participate in a multi-center NASA Social event Dec. 3, previewing the Dec. 4 first flight of the Orion Spacecraft on Exploration Flight Test-1. We are inviting social media users to apply for a credential to attend an event in-person at one of eight locations through the country. Read Full Article.